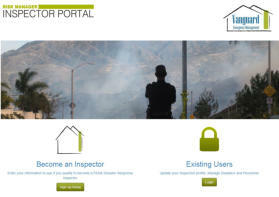 If you have not already done so, please proceed to the Vanguard Inspector Portal to register. If you were referred to BISCO InspectPro by an individual, be sure to select “Building Inspection Service, Inc. (BISCO)” as your referring organization on the Vanguard Inspector registration. Please be sure to click the “Submit” button above before proceeding. If you have already registered on the Vanguard Inspector Portal, but are not sure who you listed as your “Referring Company”, please click the button at the right for directions on how to check your information. If you qualify as a Manager, and we have openings in your area, you will be contacted for a phone interview soon. All resulting employment offers are contingent on you successfully completing Vanguard’s registration process as an HIS Inspector.